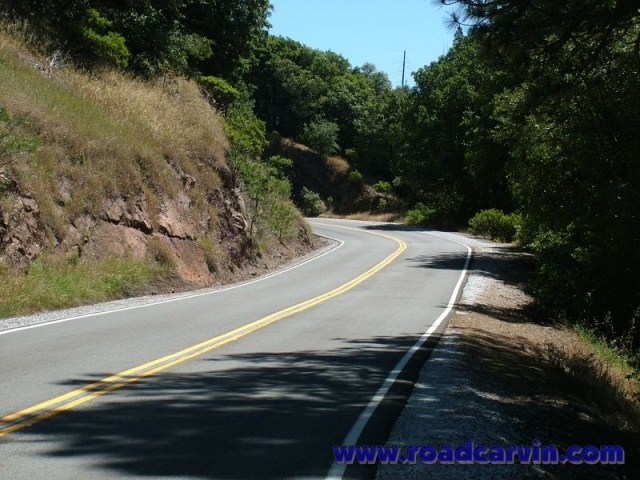 This section, closer to Volcano than the town of Sutter Creek, is narrower and has older, rougher pavement - some sections are rough; use good sense and avoid trouble here. 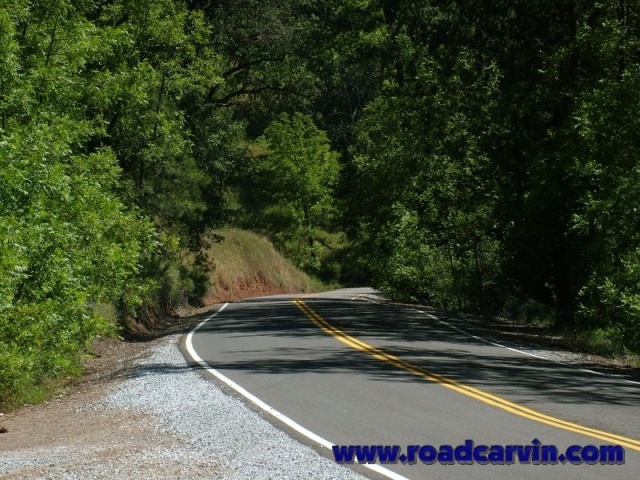 Slight elevation changes, clean pavement, and gentle curves make this a pleasant scenic ride in most places. 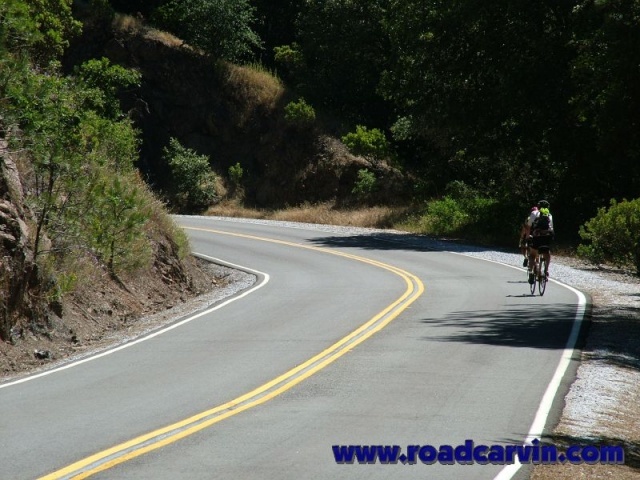 And here's one reason to be cool - on weekends (these photos were shot on a Sunday) there are sure to be a few bicyclists on the road... so take it easy, enjoy the scenery, and the road. 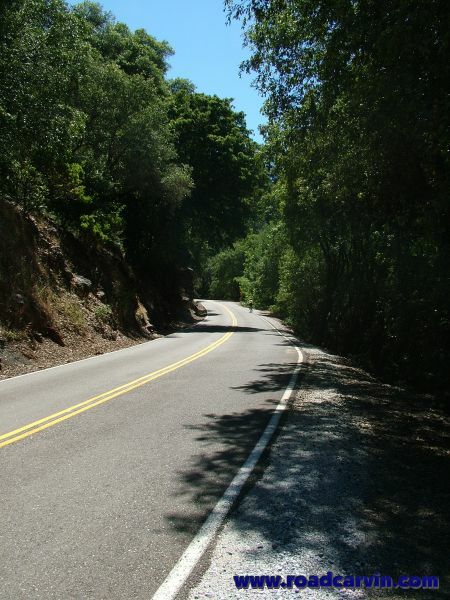 Here's a shot of one of the nice, cleanly paved curves on Sutter Creek Road. 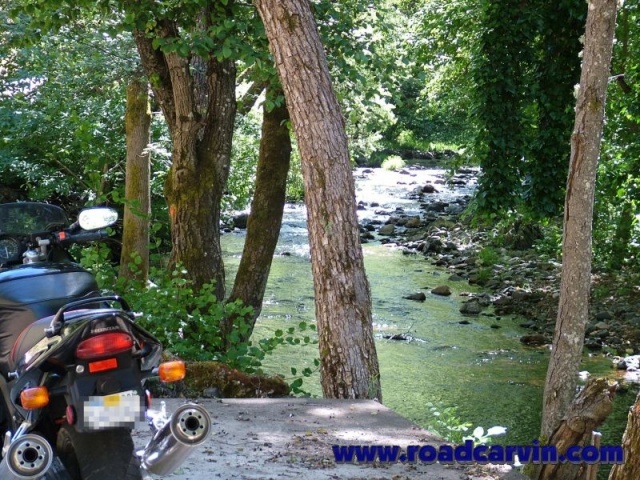 Another scenic spot with a view of Sutter Creek. Nice, cool, shady spot and the sound of running water is very soothing. 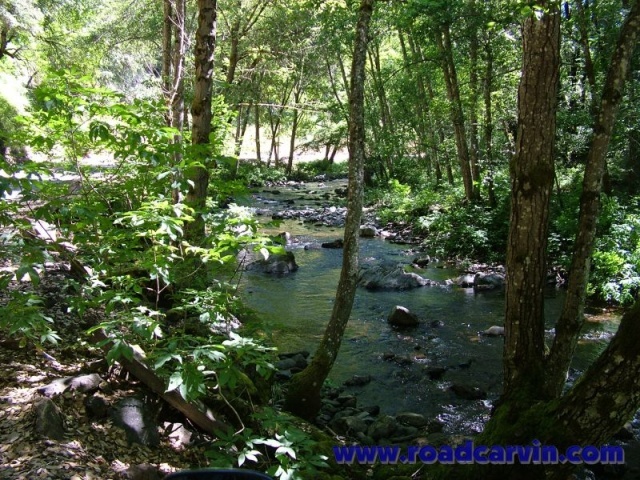 Beautiful sights - the water was flowing this spring day, after a strong winter snowpack had begun melting. Not many places to pull over and see the sights, but you can find a few good spots, even if it means you have to turn around and go back. Kawasaki did a great job with the 2008 Ninja 250R.